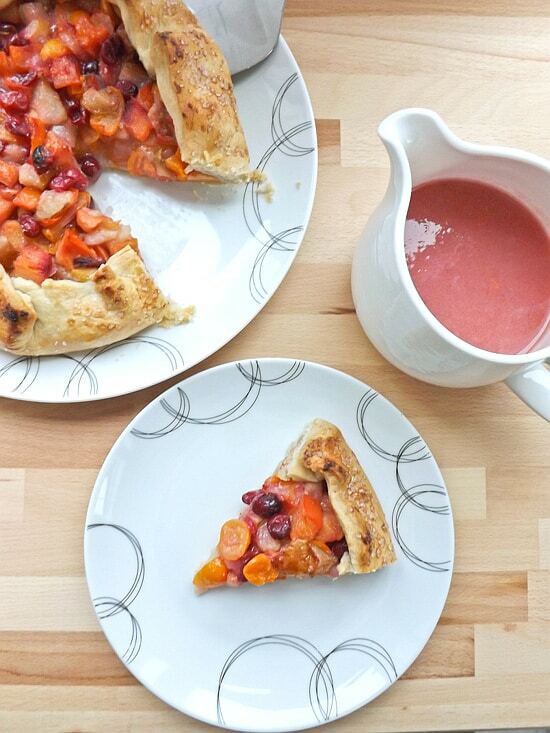 Rhubarb apple and strawberry pie. 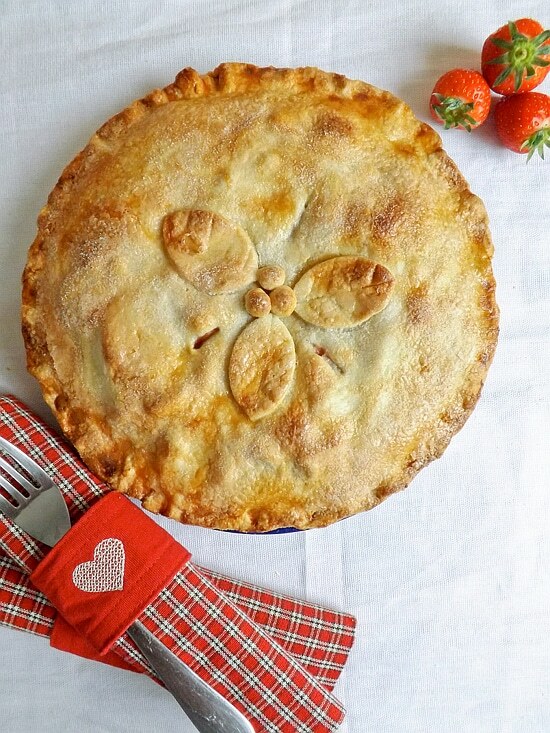 Packed inside of this beautiful pie is a combination of rhubarb, which is just coming into season and is so sweet at the moment apple, which brings body and flavour to the filling and strawberries, sweet and oh so pretty and pairs really well with both the rhubarb and the apple. Each of the fruits are flavourful on their own but together they really do pack a punch. I do try and keep seasonal as much as possible and right now in the UK rhubarb is everywhere. It’s so sweet and tart all at the same time, which to me makes it the perfect pie filling. 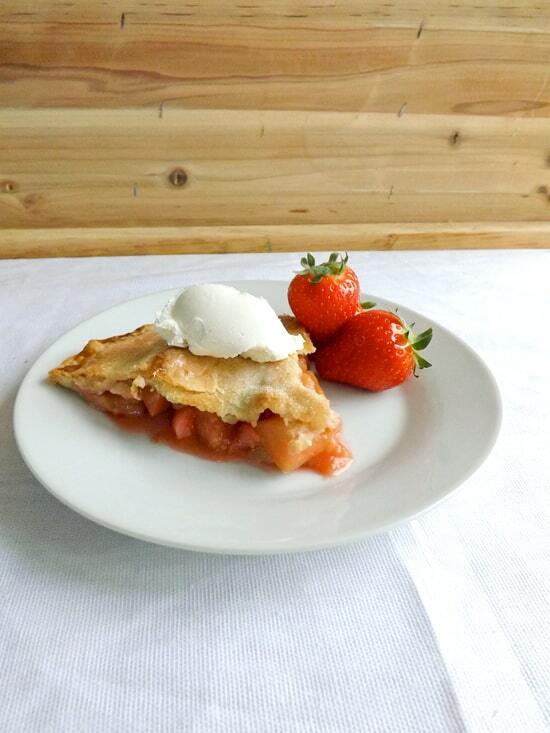 Strawberries are just starting to come into their early season and apples always seem to be in season these days. 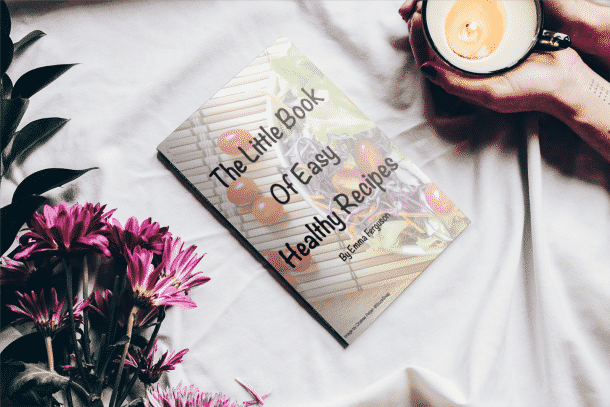 All three fruits are just perfect partners, sweet, tart and full of texture and body. 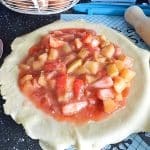 This is a really simple short crust pastry requiring very little work and only a little resting period. Yet this pastry is also flaky with just the right amount of crumb. 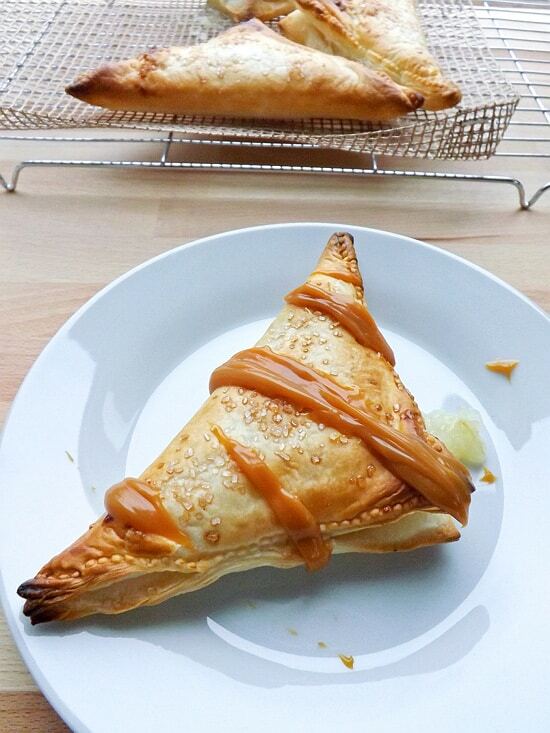 It’s not a super sweet pastry but I like it that way and I am sure you will too. 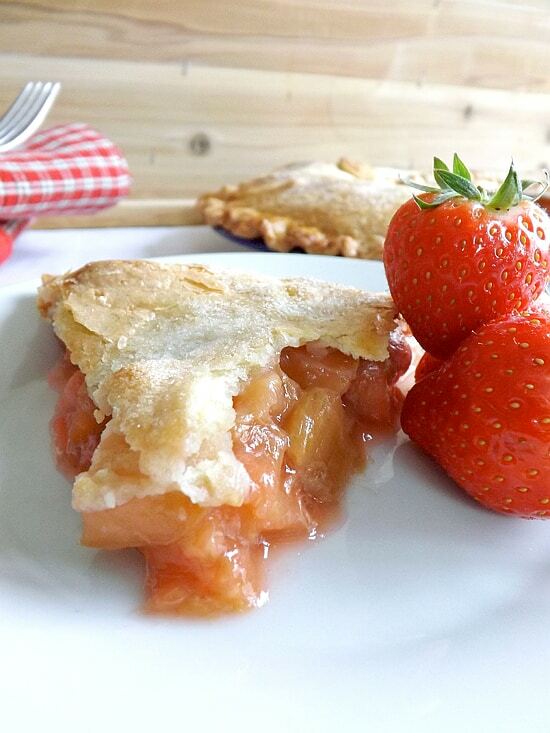 A fruit pie packed full of rhubarb, apple and strawberries with a sweet shortcrust pastry casing. Enjoyed hot or cold. Mix the flour and icing sugar together. Add in the butter and rub in till it resembles fine breadcrumbs. Work in just enough water to bring it together, then gently knead into a ball wrap it in plastic wrap and let it rest in the fridge for at least 30 minutes. 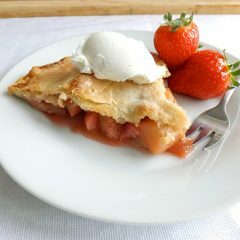 In a medium sized saucepan add the diced rhubarb and apple with water and sugar and cook on a medium heat for 10 to 15 minutes. You want the fruit to be starting to break down but still holding some of its shape. If you feel your fruit filling is too runny then add a little cornflour dissolved in a touch of water to it before taking it off the heat. This will help thicken up your filling. Take it off the heat once done, allow it to cool down and then mix in the strawberries. Preheat your oven to 200C / 400F / Gas mark 6. Get your egg ready by lightly beating it with a fork. 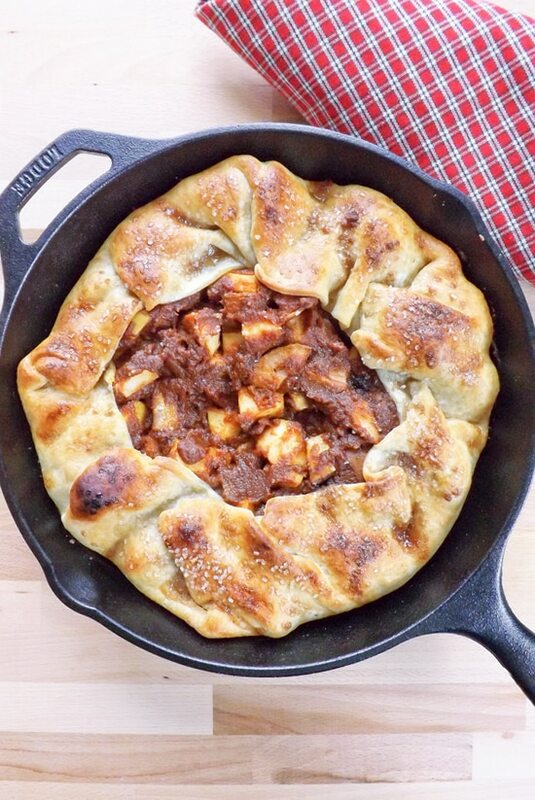 Get a 24-centimetre pie plate or dish out and divide your pastry into 2 equal halves. Roll out one half so it is large enough to overhang your dish. Pop it into your dish making sure you gently push it down into all the corners. Pour all of your pie filling into the dish. Roll out the other half of the pastry to around the same size. 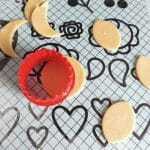 Brush a little egg around the edges of the base and carefully place the lid on top. Using a sharp knife cut away the excess at an angle and crimp the edges together to help them stick. 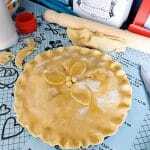 Brush with the egg and sprinkle the top with your sugar, this will help give your pie a lovely glazed look. Decorat as you please, I took the left over pastry rolled it out using a 2 and 1/2 inch pastry cutter I cut out some leaves and scored them carefully with a sharp knife and placed a few berries in the middle. Glaze any decorations you may have added. Put three small air holes / slices in your pie to allow the steam to escape and them pop the pie in your oven for at least 35 - 40 minutes. 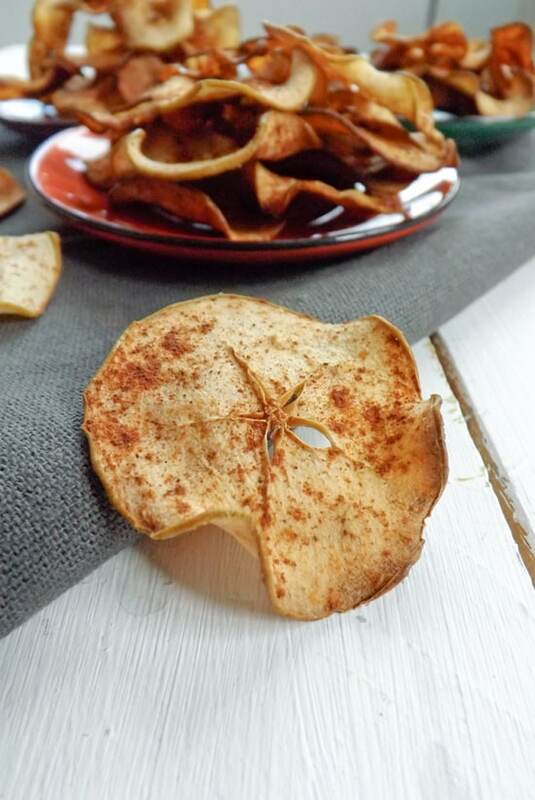 You are looking for your crust to be a lovely golden colour and crispy. 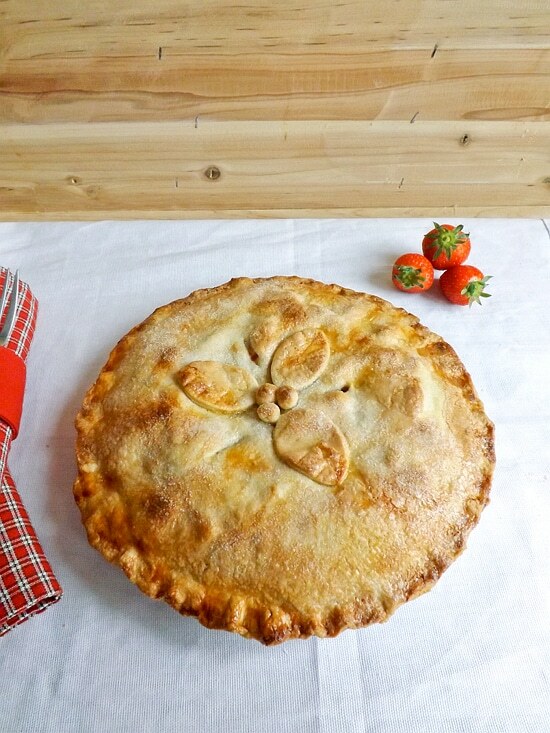 This pie will keep well in the fridge for at least 3 days but can be frozen once baked. These are the best flavors to put together. This was my dad’s favorite pie and when given options, it’s what he asked for. It’s beautiful! 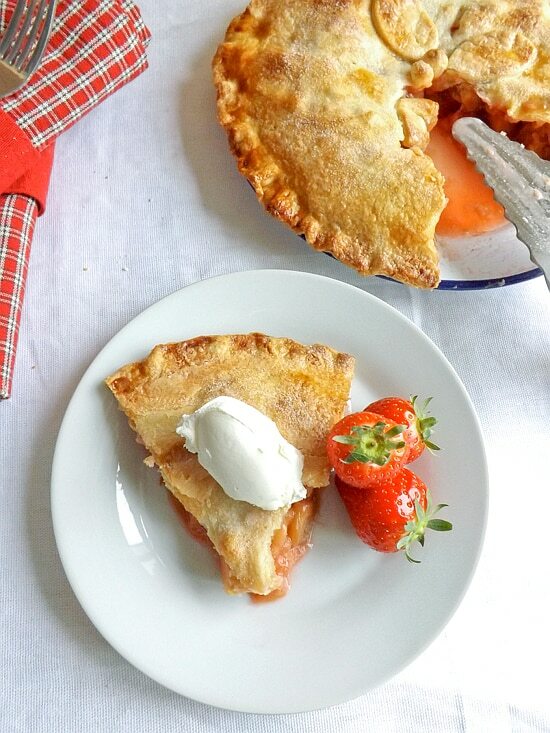 Rhubarb and strawberries…I can’t get enough of them! 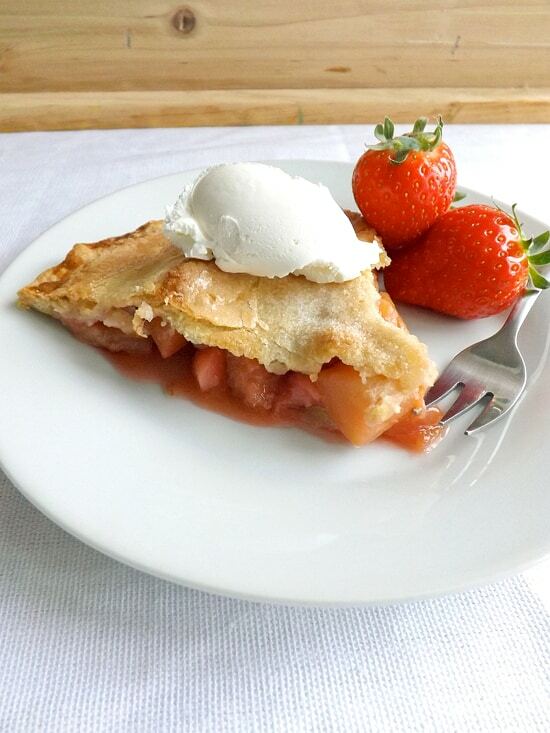 Your pie looks fantastic…and yes, I love the major fruit load you applied in your pie! Hi Ela thank you in my opinion the more fruit the better 😀 especially of rhubarb and strawberries. 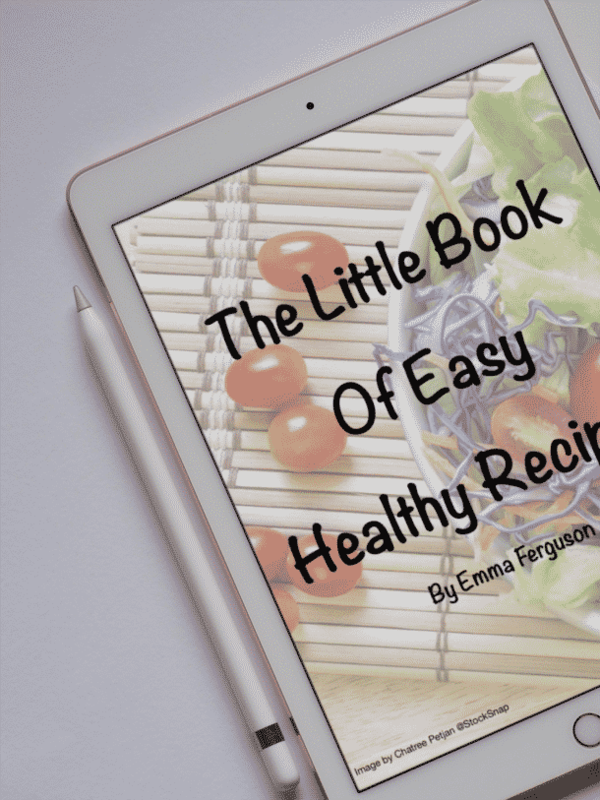 This looks delicious Emma! I love using fruit in my cooking. Yum! 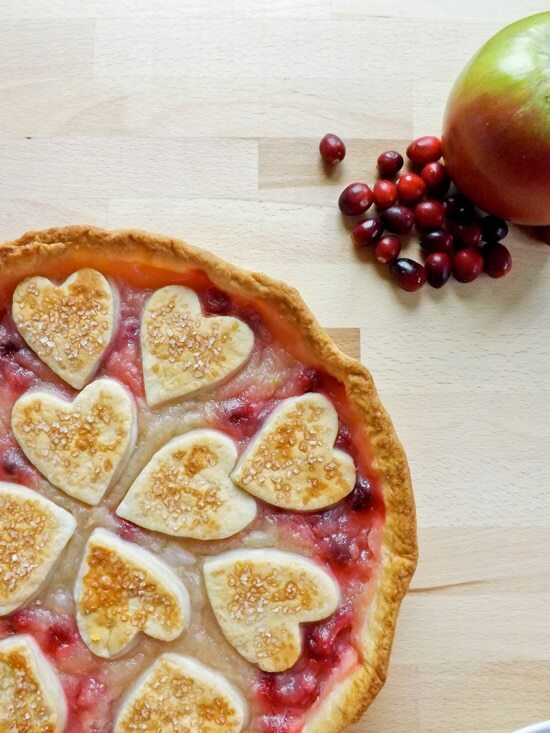 What a lovely pie–that crust is beautiful! 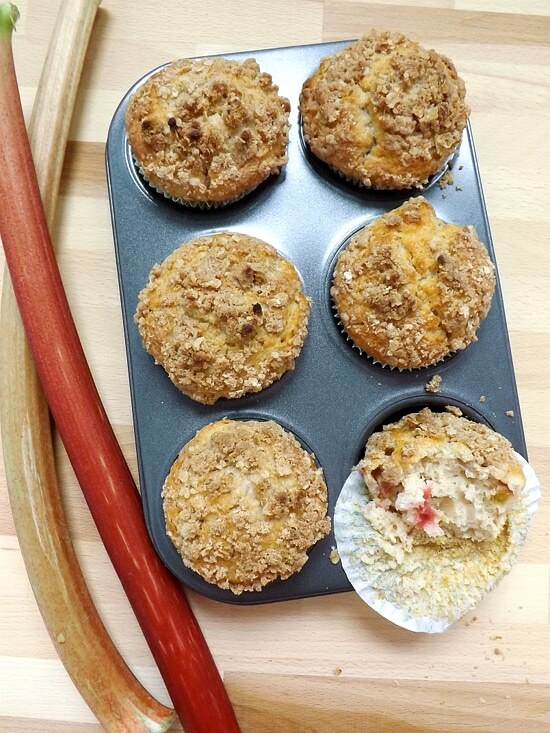 I like all these fruity flavors combined together…this is going on my list of things to bake with rhubarb!